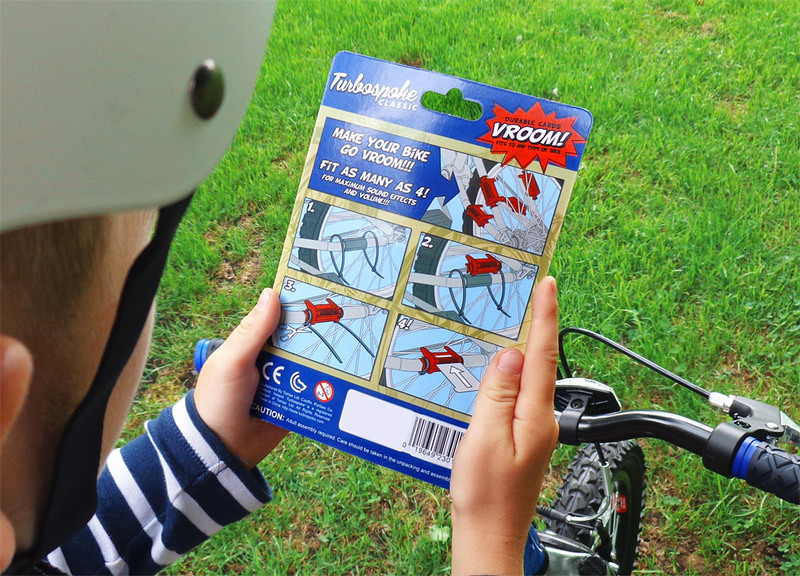 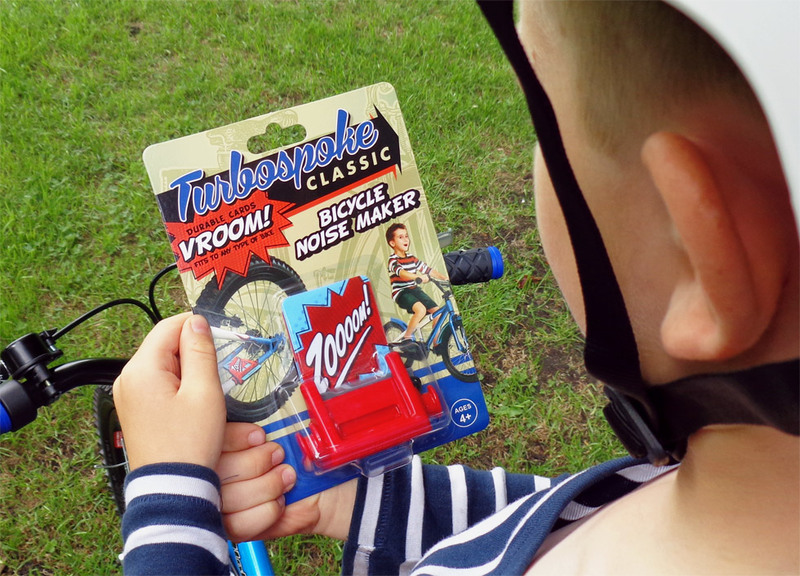 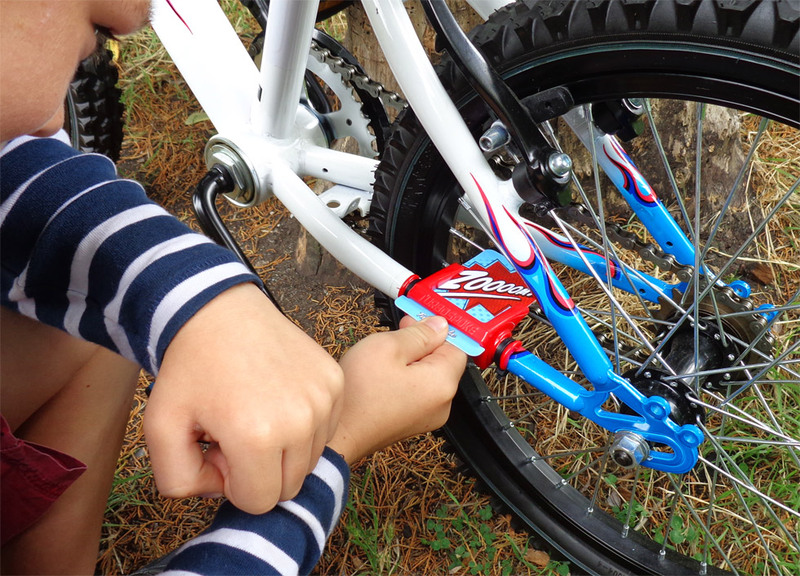 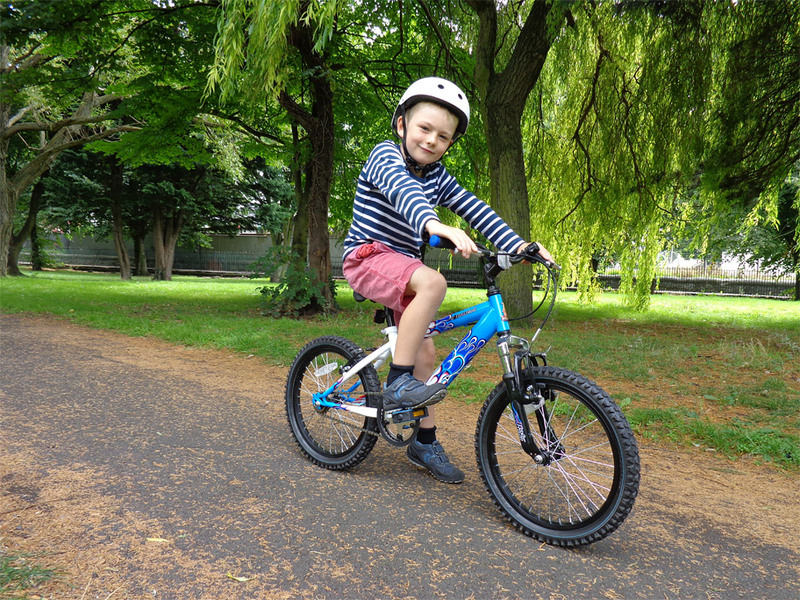 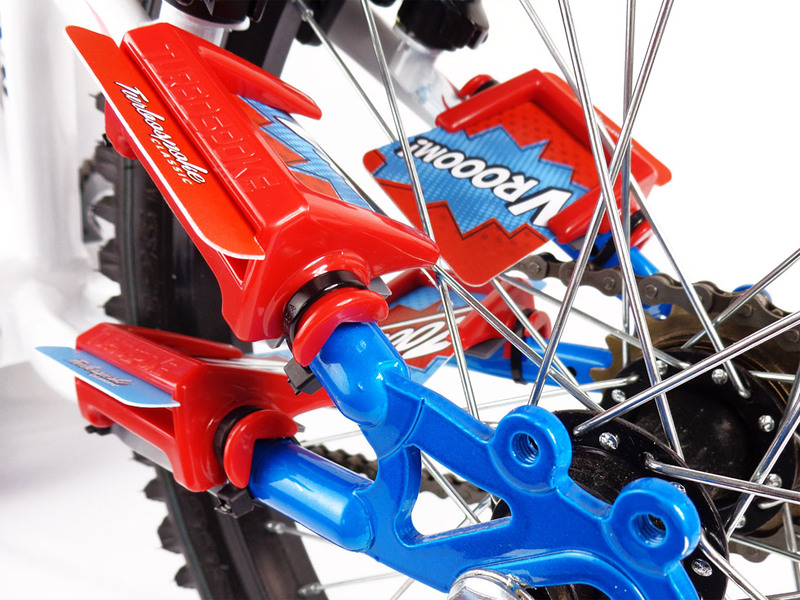 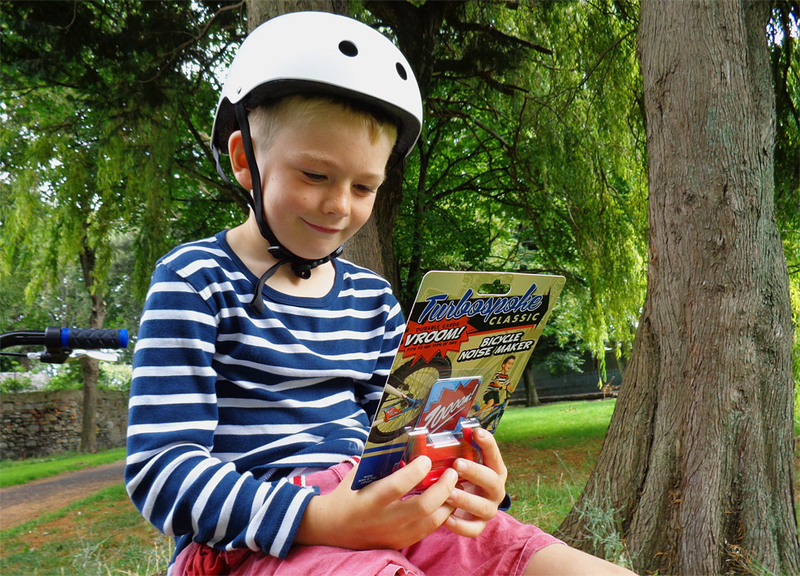 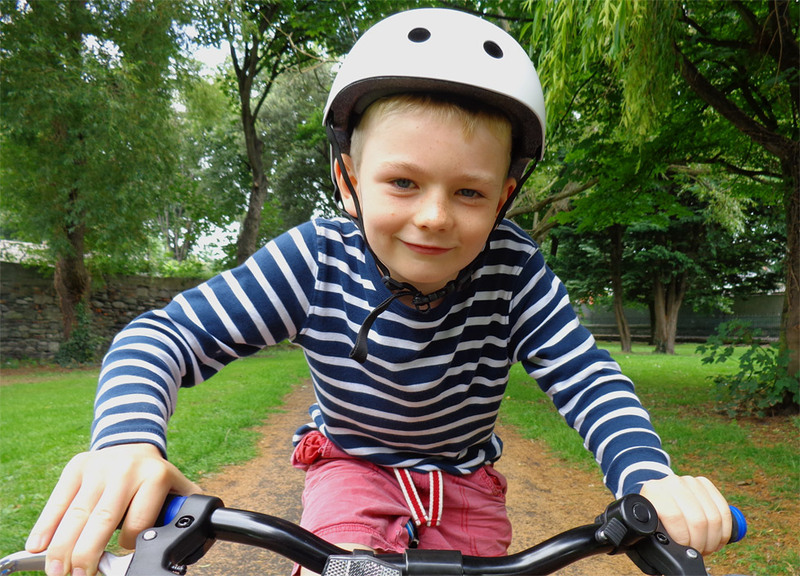 "The Pocket Money Bicycle Noise Maker"
Turbospoke Classic is the all new pocket-money-priced bicycle noise maker from Turbospoke. 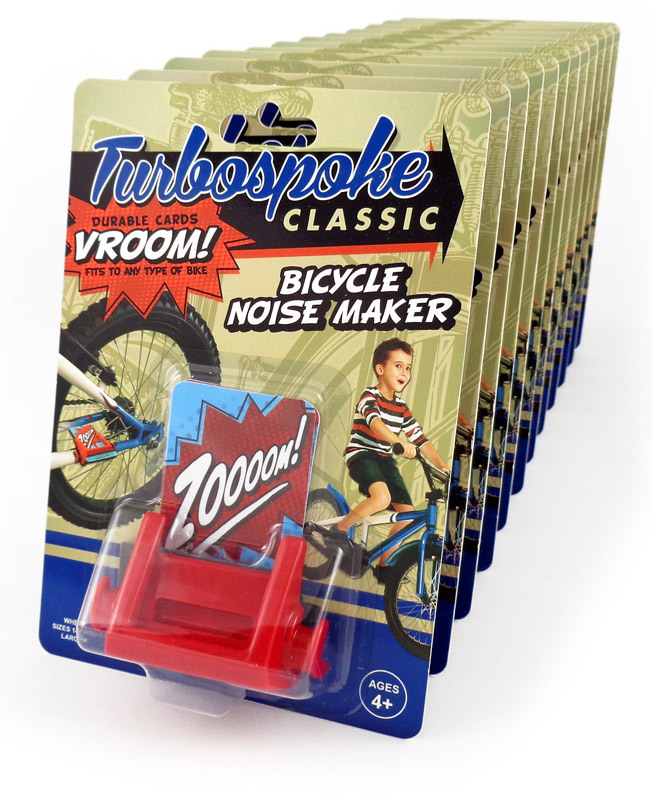 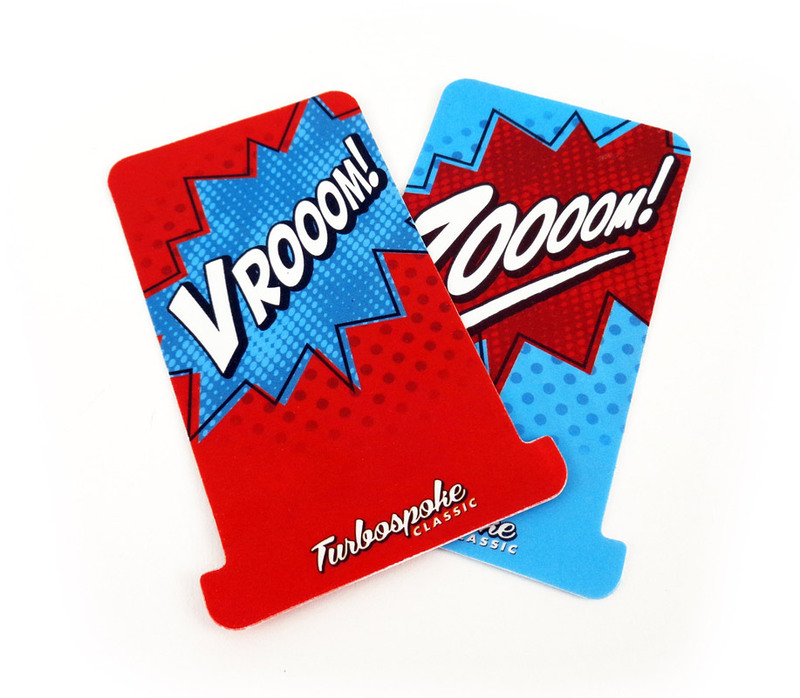 Developed on the original "card in the spokes" idea, Turbospoke Classic has a totally universal fitment and uses super durable sound cards to make any bike go Zoooom!! 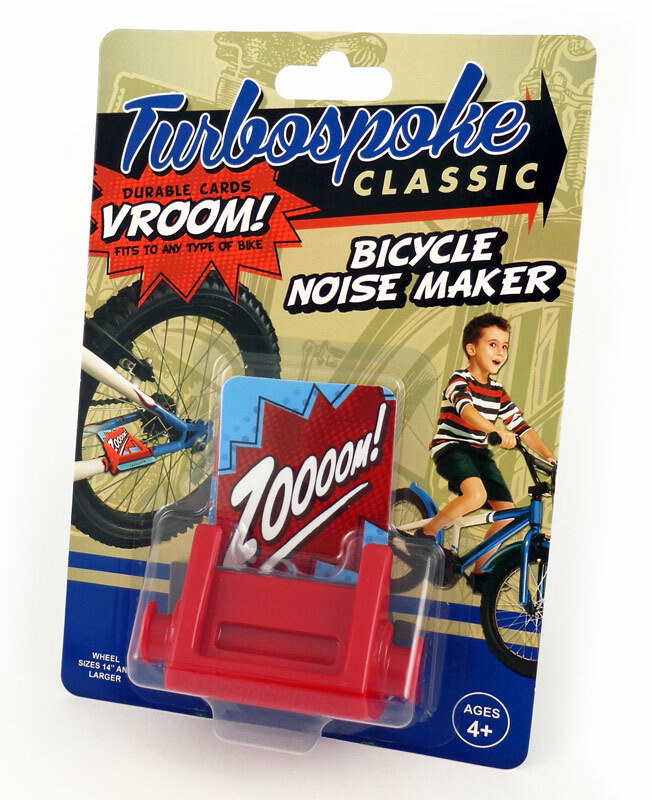 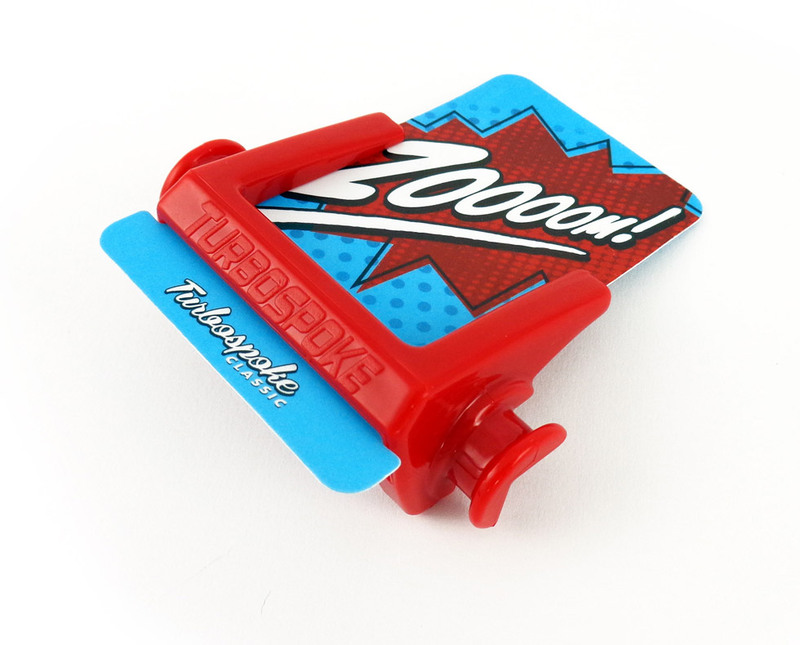 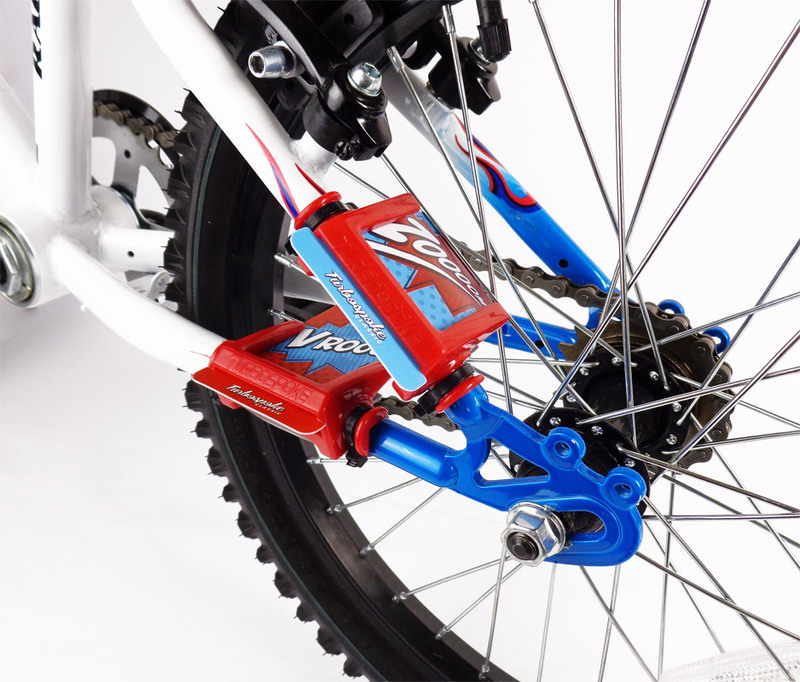 Simply fit a Turbospoke Classic to your bike, slide in one of the sound cards and you're away! 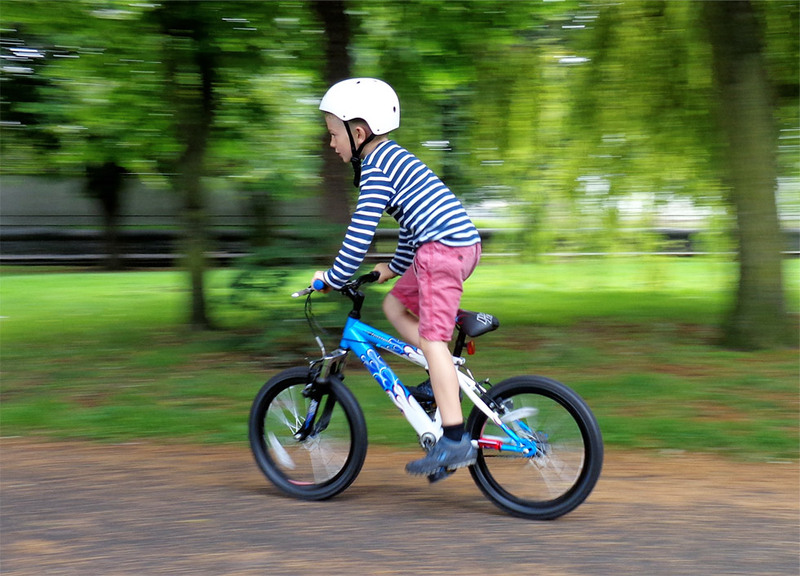 As soon as the wheel turns the noise begins and the harder you pedal the louder it gets! 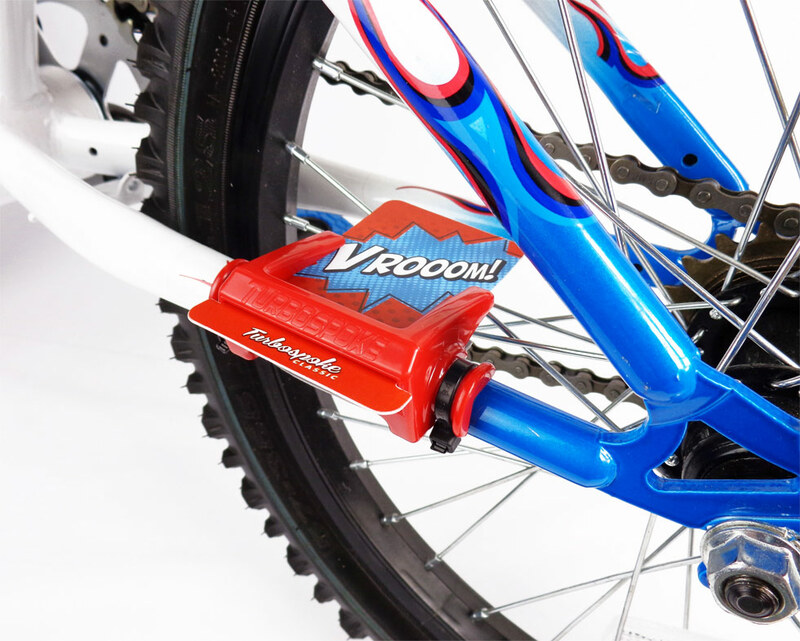 And now for the best part - the compact design means that you can fit more than one Turbospoke Classic to your bike - giving big volume and great sounds! 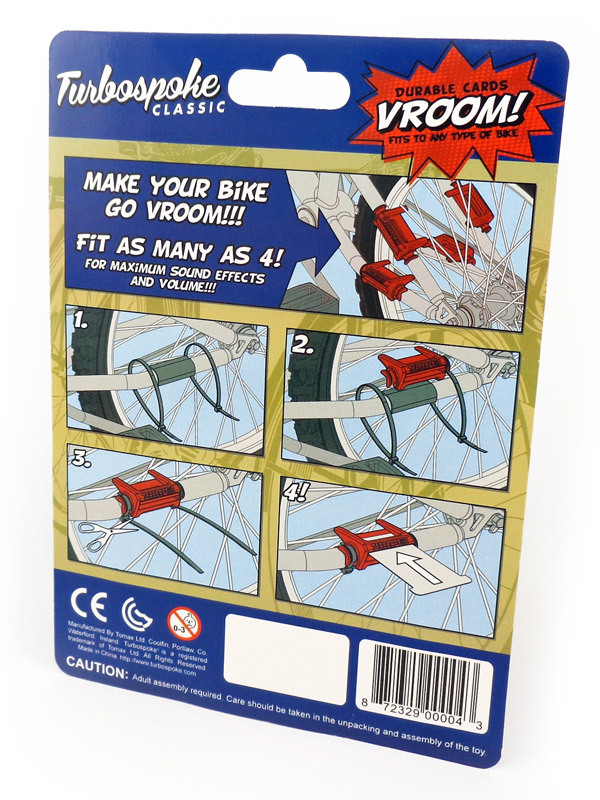 Small adjustments to the location and angle of your Turbospoke Classic make a big difference. 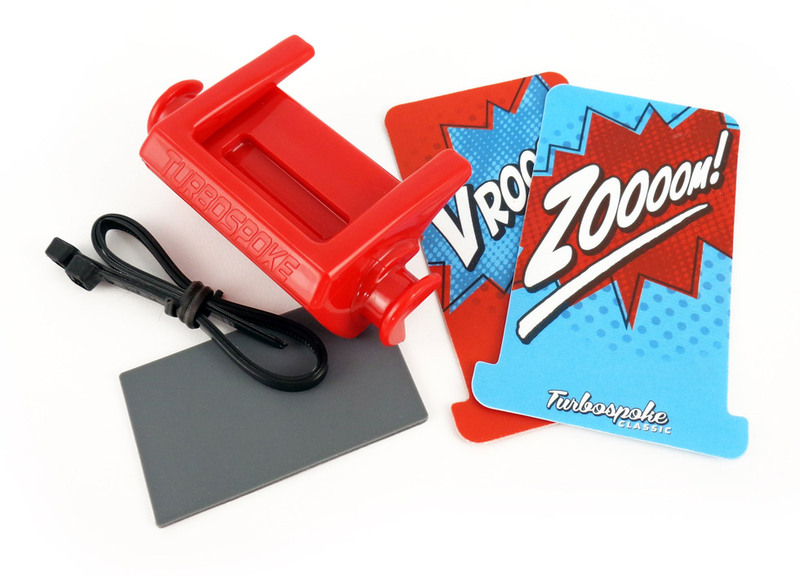 You won't believe it until you try it!